Have you ever been staying in a hotel and got bitten by bed bugs? Bed bugs bite are not as dangerous as mosquito bites which can carry a various diseases. 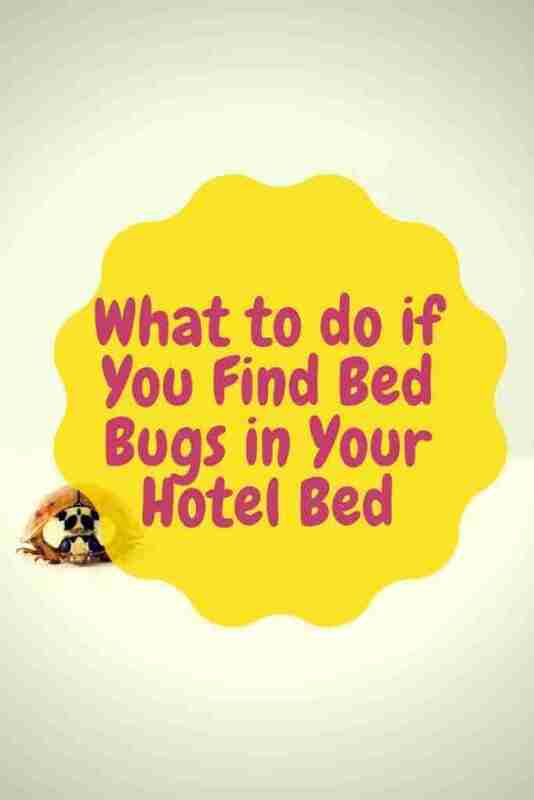 Although it is not dangerous, having bed bugs in your hotel room is obviously a nightmare. There’s nothing to be worried about the bites but the effect of scratching can cause skin irritation and infection. Moreover, these pests can disrupt your comfort in bed. Bed bugs are commonly present in low-cost hotels especially those with old buildings. Therefore, we as budget travellers who seek a cheap hotel should always search the room for bed bugs. You might not find any when you arrive at the hotel but you might discover them the following day. After getting into the hotel room, start checking if there are some rusty dark marks on the walls, sheets, and other places as well. These marks can be a sign of bed bugs. They may be their shells or feces. As bed bugs are very tiny, we may not be able to spot them directly. Furthermore, with their small size, they can just hide everywhere in the room. Although we don’t see the actual bed bugs, there are signs that these tiny, annoying bugs are there in our hotel room. The common sign is the bites on our body and these are usually very itchy. In addition, there is usually blood on the sheets. Before booking your hotel room, do you research first by reading the reviews. This will give a good intention if bed bugs have been a problem for previous guests. Of course you will have to complain to the hotel if there are bed bugs in your hotel room. You will have to provide the evidence, however. If we see any bugs, try to trap them and put them in a plastic bag. Take pictures of them, too. But, if we don’t see any, just take pictures of the bites on our body. Show the pictures and the caught bed bugs to the hotel staff so they know what happens. You have the right to ask for our money back. If we can show the evidence, usually the hotel won’t argue. Generally, guests will be offered another room. It depends on you. We can give it a try or we can also try to look for another hotel. It is recommended to choose the first option especially if it is not possible to move into a new place for whatever reason. If we still find bed bugs in the new room, we can complain again and consider looking for another place to stay. If bed bugs are found in more than one room, it seems that all the rooms in the hotel have the same problem. For your information, bed bugs can travel with us. That’s why whether we are going to return home or move into a new hotel, don’t directly take our suitcase in the room. Instead, leave it outside, take the clothes and get them washed thoroughly. It is also important to have the suitcase and shoes cleaned. After that, go straight to the shower. And that’s it for now! 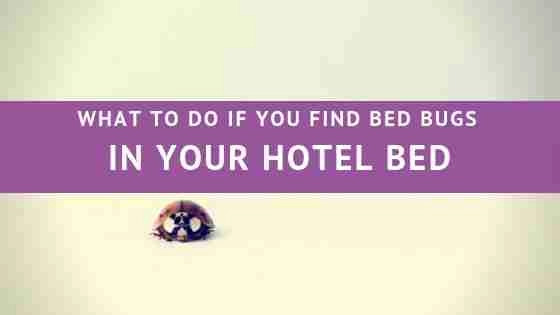 I’d love to know if this guide on the what to do if you find bed bugs in your hotel bed has helped you.